► Subtitles are available in multiples languages, activate them on YouTube Settings. ► I would like to thanks everyone who contributed to this Guide, created by lot's of differents persons. I got a question - I doubt if this build is good for open world PvE, compared to other builds. I can survive pretty well with full zerker Sword/Dagger weaver (fire/arcane/weaver) - not to mention FA Tempest Dagger/Warhorn, which is arguably the best Ele build for open world PvE. Other than that, this was a fantastic guide, and this build is definitely strong in PvP/WvW. Thanks Cellofrag! I kinda wonder the viability of this build for Open World PVE, pretty sure it would do fine but it kinda feels like you'll take longer to kill mobs. But the the WVW and PVP aspect is sweet. Anyone who tested these specs open world? Yes, this build offers probably too much sustain for open world pve. 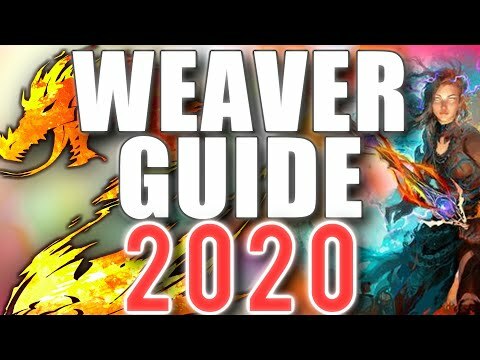 I did it so new players & weaver beginners are way more confortable about surviving ! But if you have enough experience, feel free to trade some gear or traits to more offensive ! Tried it in WvW today, much better than my previous build, the sustain is great and has a ton of evades to dance about in enemy zergs. Do you do anythign else other than dancing? No, aiming to crush them with Dashing White Sergeant once we've got the numbers. Tried it a bit today, I'll run it a bit more over the next few weeks to test (wvw). So far, sustain is amazing, I was able to easily stay alive in a 4 v 1. Lack of toughness isn't too big of a hindrance unless going up against full glass highly mobile classes. Barrier really helps. But the damage just feels lackluster. All they really have to do is kite you, the condi pressure just doesn't feel strong enough to really make up for the lack of raw power the build is lacking for my tastes. Great for fighting players who don't know when to disengage or over commit, I think the strength of the build comes from peoples underestimation when seeing a Weaver around and think they can easily take it down in a few attacks. The longer they stay the worse it gets for them, but really all they need to do to counter it right now is just to peel.. I'm going to try this with some Antitoxin Runes, maybe that will help out a bit with the dps although I may need to toss in a piece of settlers or something to offset the small loss in toughness. I plan to watch the video when I get home but curious, as a new ele player would it be better for me to try out core or tempest before diving into weaver? Right now my focus is getting caught up on the living story and eventually doing some wvw to get the warclaw mount. After that I would like to start working on getting into fractals/raiding so I'm not really sure what spec would be best to focus on for now. I don't have a lot of gold to keep buying new sets of gear so I'd like to just stick with one build that will work ok for what I'm doing at the moment. You can start with core D/D, which has some kind of similarish aspects. It's both close combat, relies on combos and quick attunement switching and stuff. Weaver will need some getting used to because of the double attunement, the dual skills and the not-instand availability of the offhand skills though. D/D is fine for the story too and you can maybe use a lot of the equipment if you go for zerker/marauder/maybe grieving stats. For WvW, it is quite tough, but you could switch to staff easily, core is more or less fine there too. Tempest doesn't really help with weaver though. Fun too, but very different gameplay-wise. Well, which is mainly the "stay in one attunement for a long time to get overloads, which are again quite long channels". I've said it time and time again you area GWAMM when it comes to the Elementalist. Your skill, thought process, muscle memory, etc. are amazing.